Microsoft Dynamics 365 Business Central is a powerful all-in-one business management solution. This solution includes an all new user experience and enhanced capabilities to enable businesses to grow. Consolidate the different departments, processes and boost efficiency with automated tasks and workflows. Now fully integrated with Office applications like Outlook, Word and Excel. Connected data, improved business analytics and accurate forecasting gives businesses a better advantage, and allows data driven decision making. 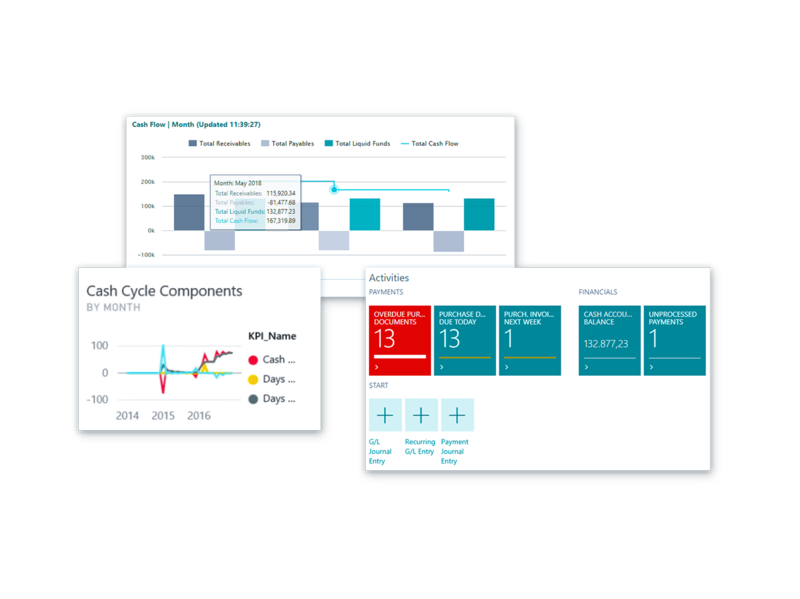 Dynamics 365 Business Central can grow alongside your changing business needs. Start small and slowly extend the solution as needed. Business Central features a modern, intuitive and familiar interface seen in Microsoft products. The user interface is also customisable for best possible user experience, with role-specific views, personalised feeds and smart notifications. 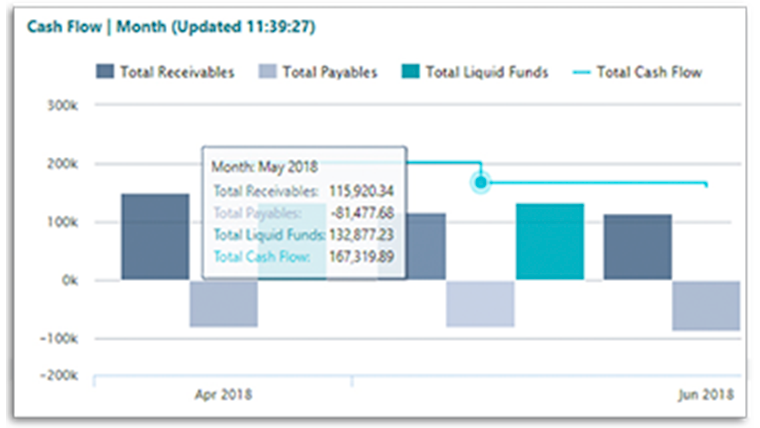 Dynamics Business Central works seamlessly with not only other Dynamics 365 apps, but also Office 365, PowerApps, Microsoft Flow, and Power BI. 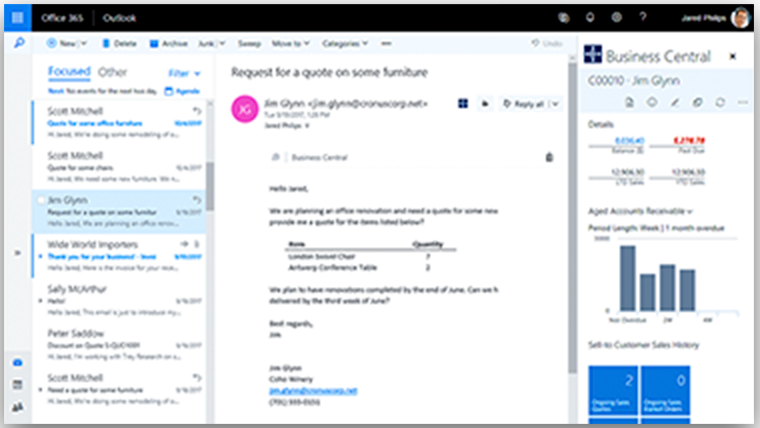 The new app will also feature extended integration with Outlook, which allows users to utilise Business Central’s quote-to-cash features from within their inbox, ability to generate quotes based on the content of an email and submit invoices. Dynamics Business Central is built to grow with your company so it is easy to add extensions as well as additional business functions as the need arises. Dynamics Business Central will also benefit from Microsoft’s mammoth investments in AI and machine learning. This means that users of Business Central can receive more accurate forecasts, better next-step recommendations, and more profound, valuable analytical insights. Connect information across different departments to get a 360 degree view of your business. Streamline all accounting processes and automatically reconcile accounts to generate reports faster yet accurately. Refine financial forecast by modelling and analysing data across multiple dimensions. The built-in intelligence predicts when and what to replenish so you only need to purchase when you need it. Maintain sufficient inventory with automated stock calculation, replenishment triggers and improved lead time. Prevent unnecessary purchases through approval workflow. Monitor purchases and avoid overdue penalties by vendor. Accelerate your sales process workflow and respond faster to sales enquiries with Outlook integration. Access to a comprehensive view of customer life cycle and effectively provide input and support to customers. Track all customer interactions to unveil opportunities to upsell and cross-sell throughout the sales cycle. 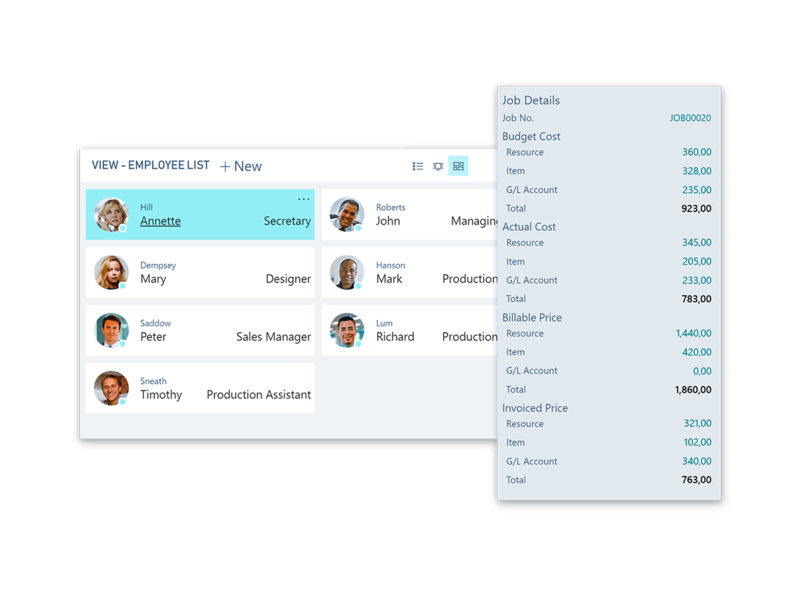 Manage and track projects using timesheets with advanced job costing and reporting capabilities. 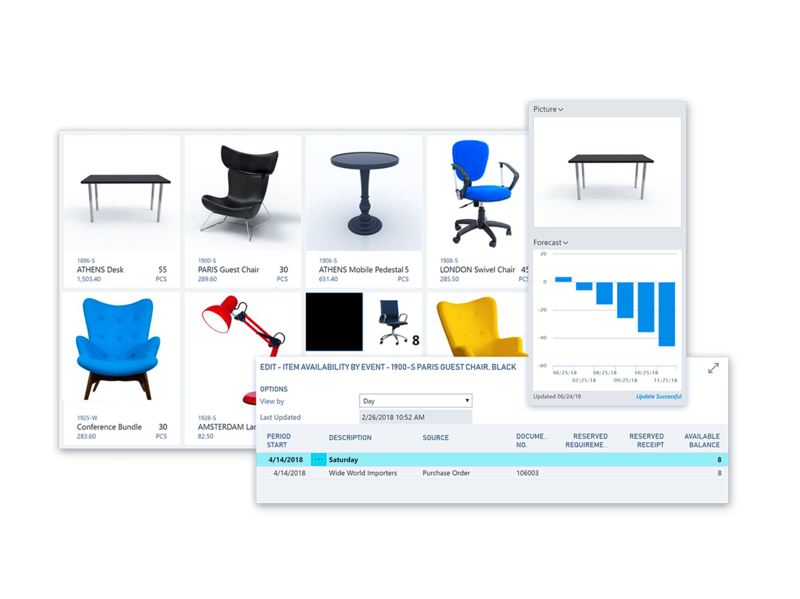 Manage all resources with precision. Track invoices for customers against planned cost on orders. Make effective decisions with real time insights on project status, profitability and resource usage. 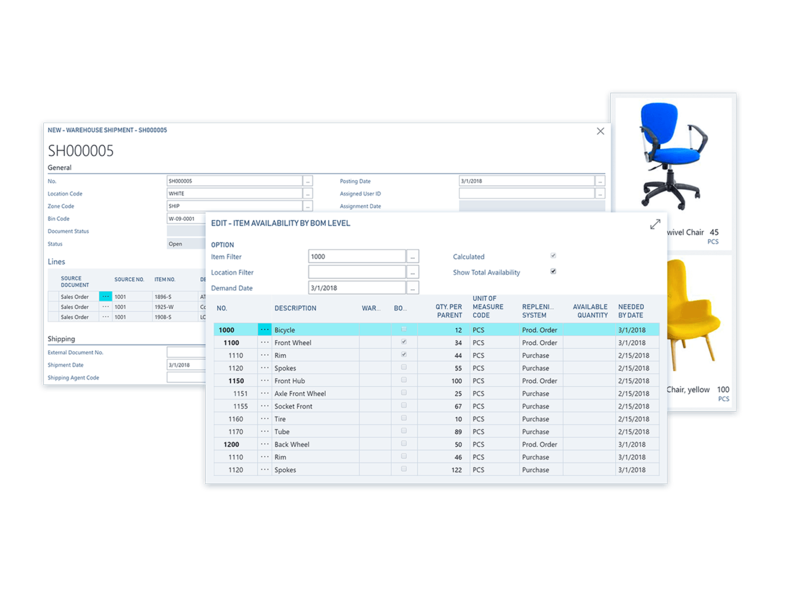 Use sales forecasts and expected stock replenishment to automatically generate production plans and create purchase orders. Get an overview of inventory for improved stock replenishment. 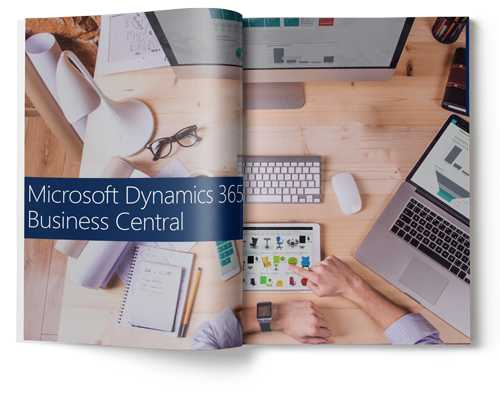 Get more information on Dynamics 365 Business Central. Product brochure available for download. 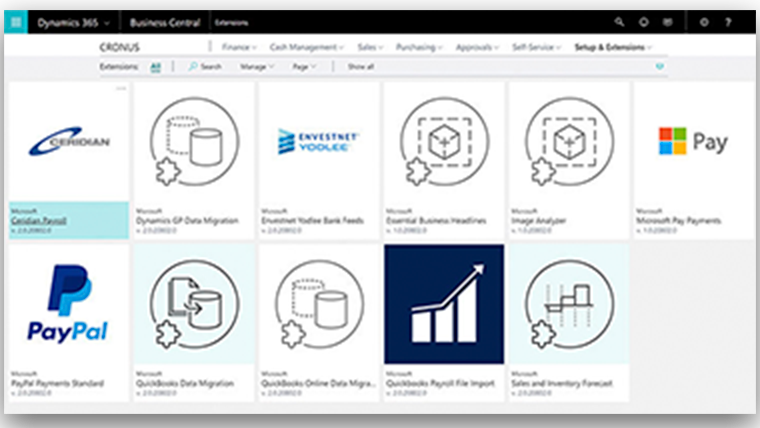 Check out the accelerated implementation pack for Dynamics 365 Business Central. More info in the brochure. View the on demand demo of Dynamics 365 Business Central, which provides an overview of the solution and how it helps businesses accelerate the speed of doing business. 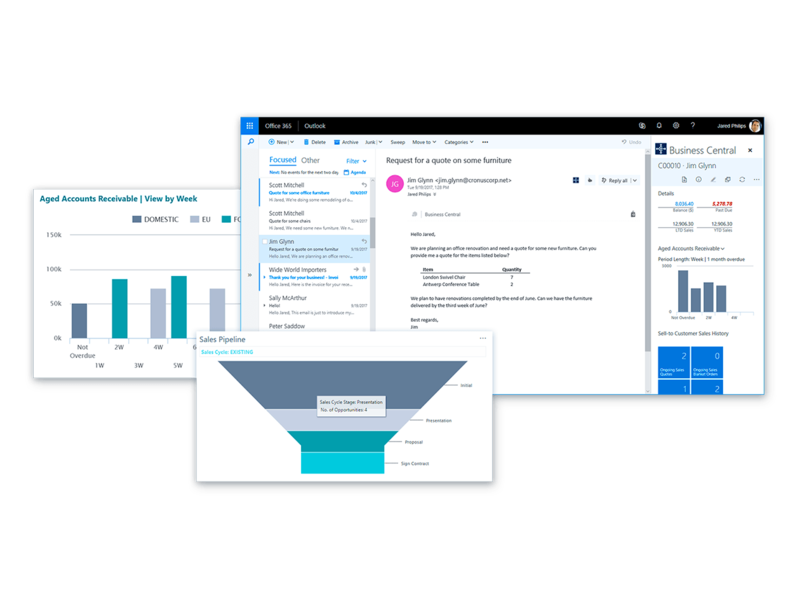 Dynamics 365 Business Central is an all-in-one business management solution that is easy to use and adapt, helping you connect your business and make smarter decisions.